Swann Galleries is pleased to offer the first significant work by assemblage artist Noah Purifoy to come to auction in our upcoming sale of African-American Fine Art titled The Shape of Things to Come. 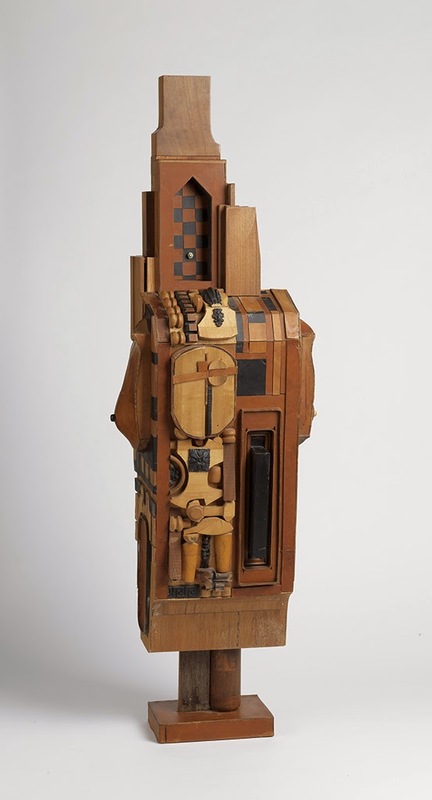 Purifoy’s Untitled (Standing Figure), circa 1968-70, is a striking figurative assemblage construction that includes wood, wood veneer and leather, and stands more than 51 inches tall. Noah Purifoy grew up in Alabama and received his undergraduate degree from Alabama State Teachers College in 1943, followed by a graduate degree from Atlanta University in 1948. He moved to Los Angeles in 1953 to study at the Chouinard Art Institute–where he was the first African-American student to be enrolled full-time. He received a BFA in 1956, just before his 40th birthday. 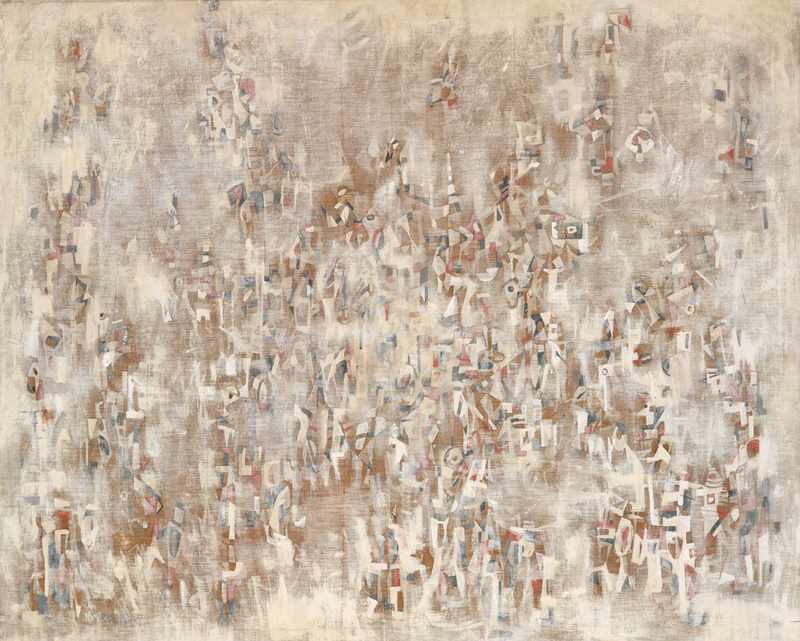 The Watts rebellion in 1965 changed Purifoy’s life and art. At the time, he and fellow artist Judson Powell ran the art education program at the newly created Watts Towers Arts Center, which had grown as a sculpture garden around assemblage work by the eccentric Italian-American artist Simon Rodia. Together Powell and Purifoy organized Junk Art: 66 Signs of Neon, a seminal exhibition at the University of Southern California. They exhibited 66 art works made from found debris and junk–all detritus left in the wake of the Watts riots–alongside photographic documentation. From this period, Purifoy created an important body of work, alongside with his fellow artist John Outterbridge, which is largely credited for influencing a whole generation of Californian assemblage artists including David Hammons and Senga Nengudi. By 1970, Purifoy had expanded his range of assemblage material to include such diverse organic materials as leather, feathers, brass and copper. This enigmatic female figure, with leather breasts mounted on her flanks, and a dense decorative surface, reflects both the assemblage aesthetic and early Surrealist sculpture. Purifoy worked in public art programs run by the California Arts Council through the late 1980s, and initiated programs such as “Artists in Social Institutions,” which brought art into the state prison system. He then moved to a large compound near Joshua Tree in California, where he created a 10-acre site with large-scale assemblage sculpture. Today the entire site is preserved in a cultural center and museum, run by the artist’s non-profit foundation.